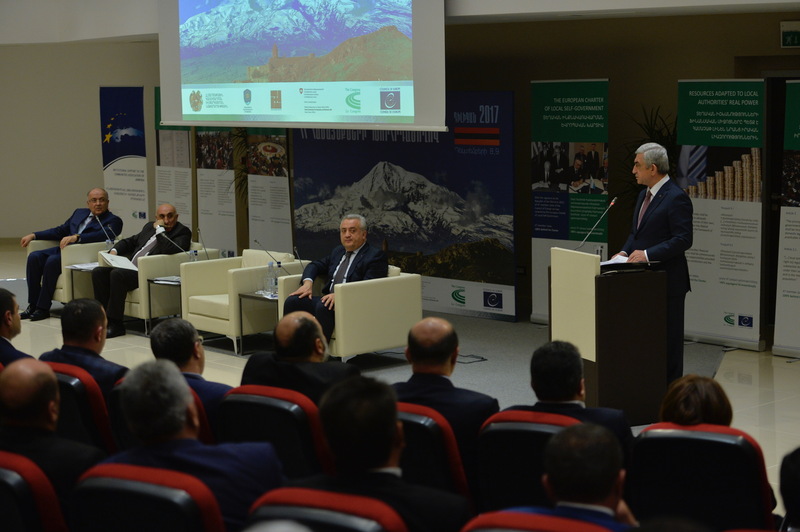 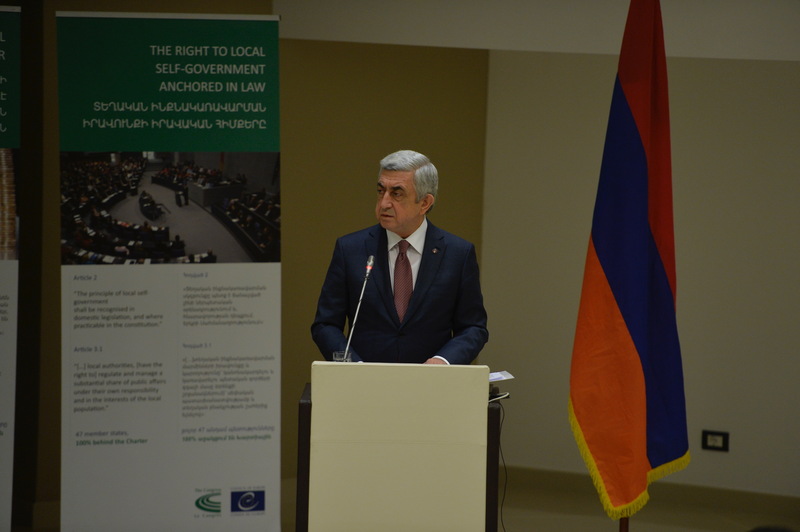 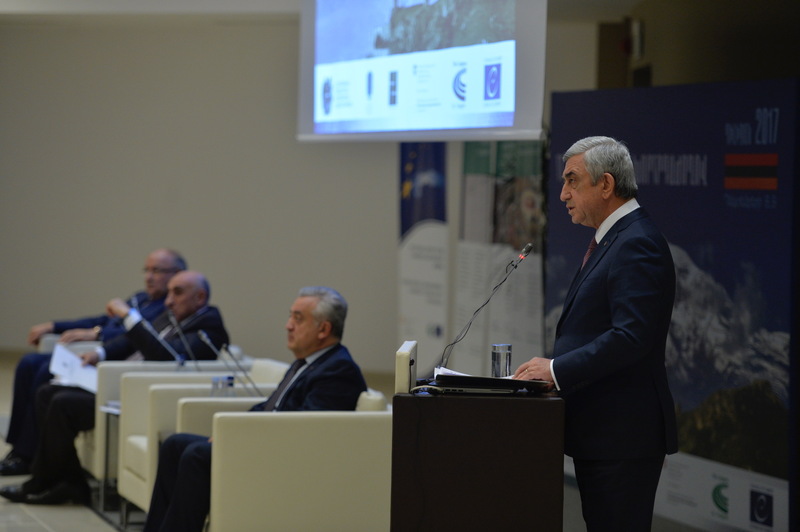 President Serzh Sargsyan attended the final session of the forum on local self-government and territorial administration authorities, held in Dilijan on December 8-9 by the Ministry of Territorial Administration and Development and Armenian Communities’ Union NGO. 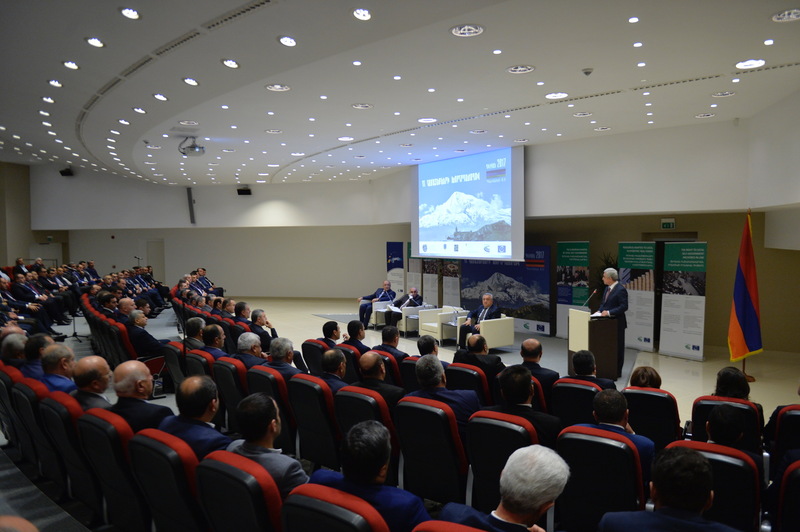 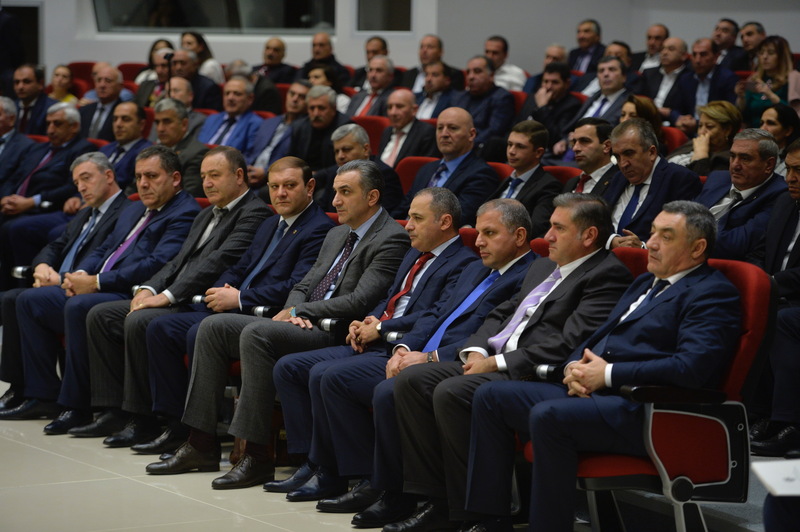 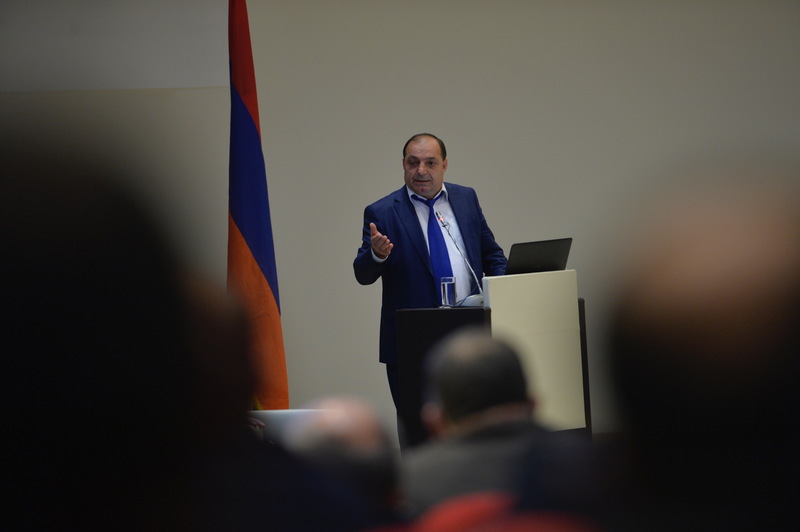 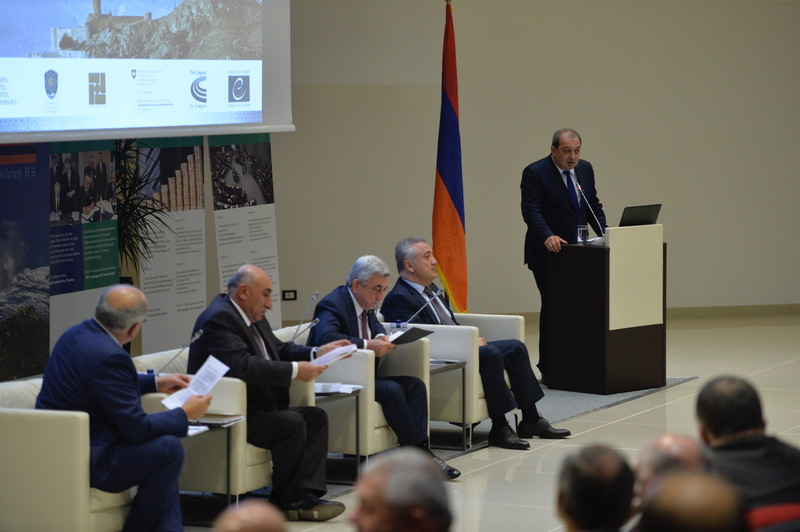 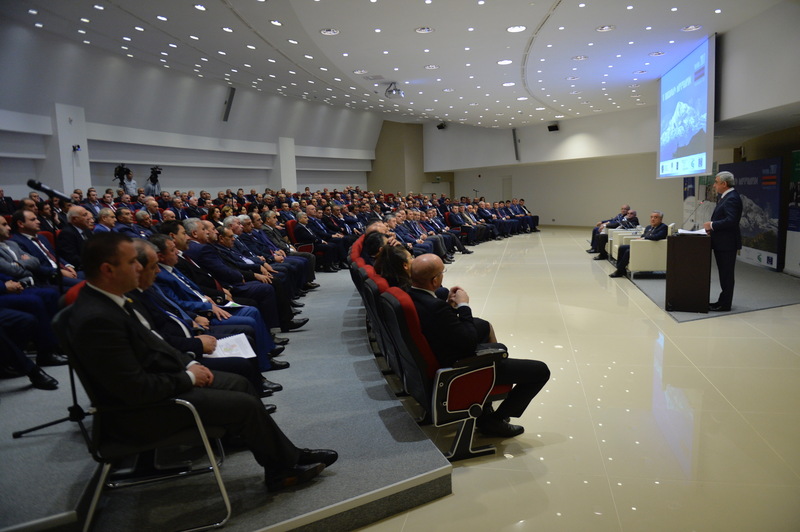 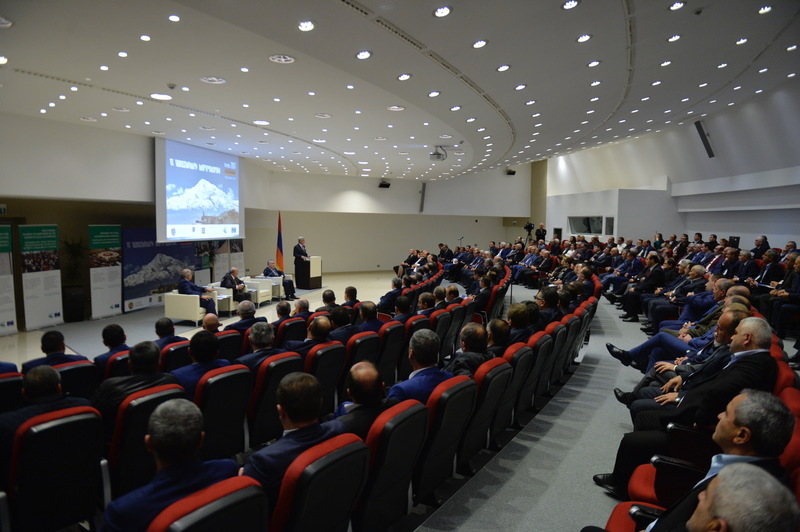 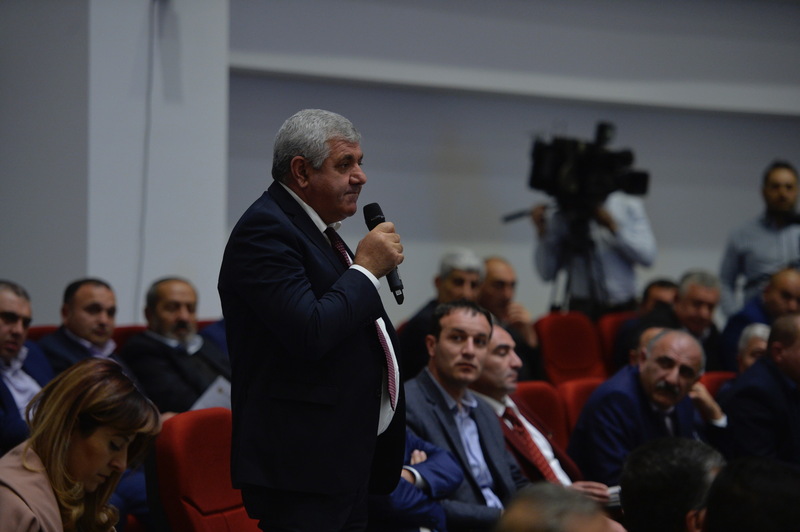 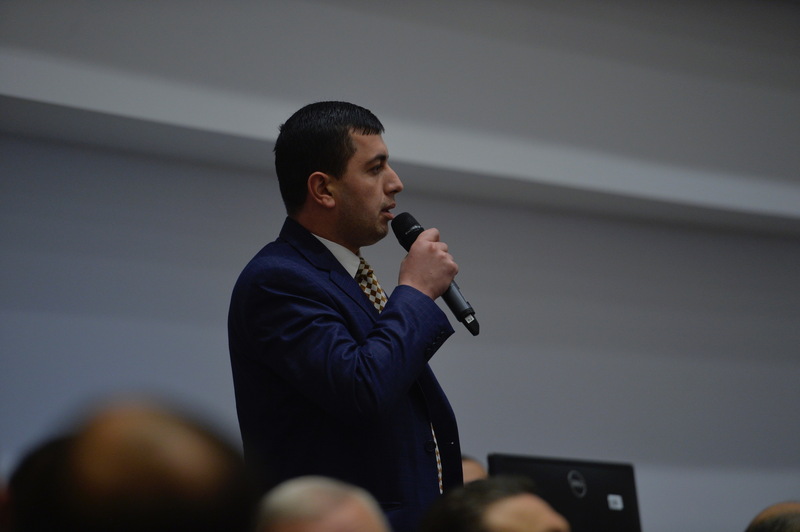 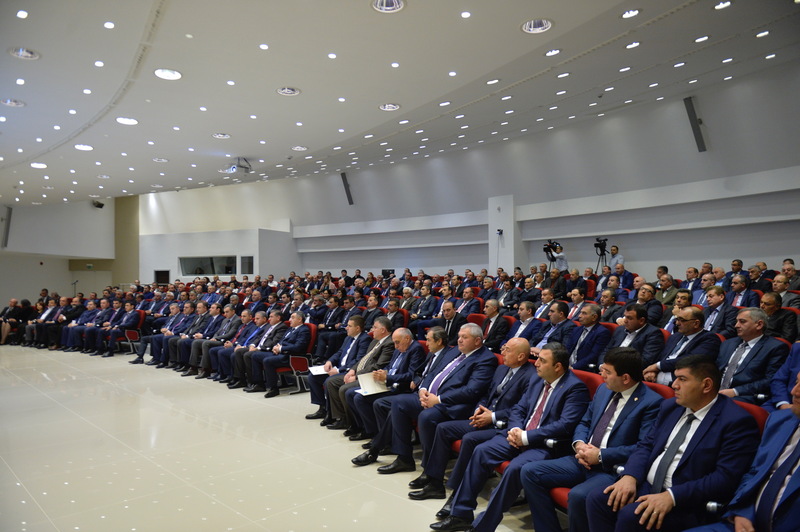 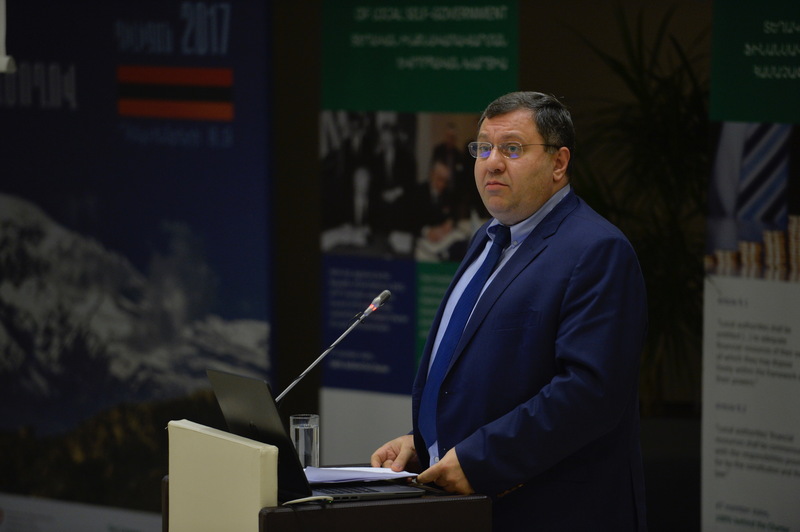 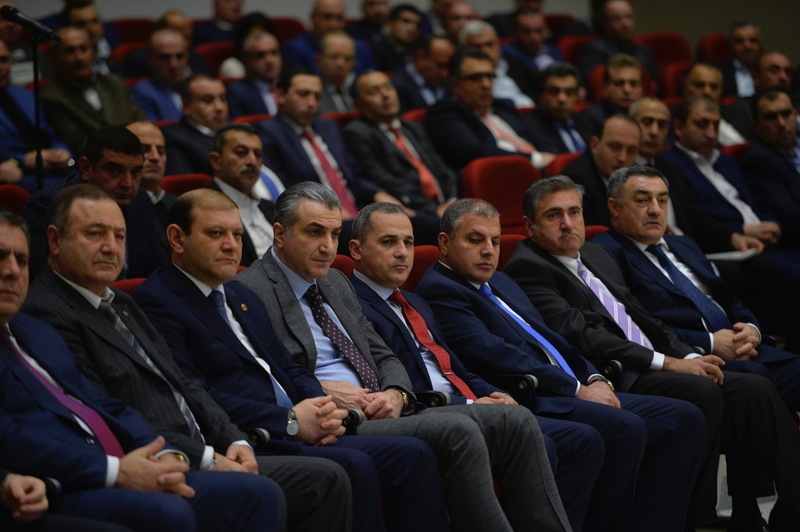 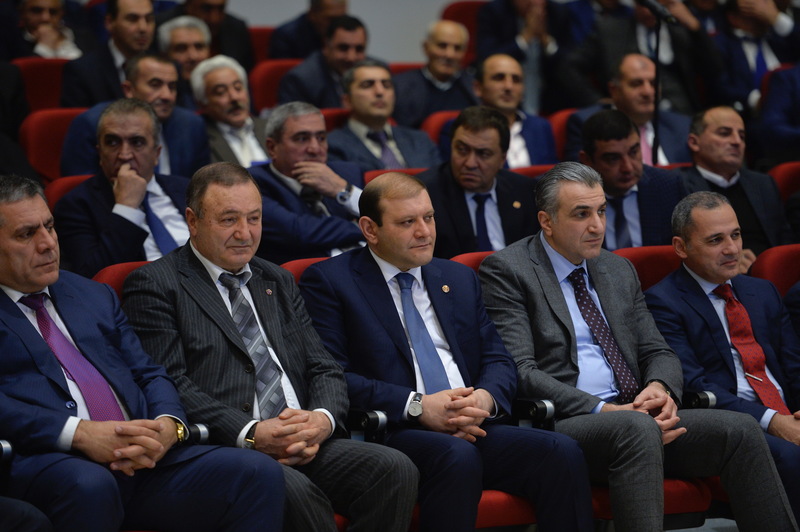 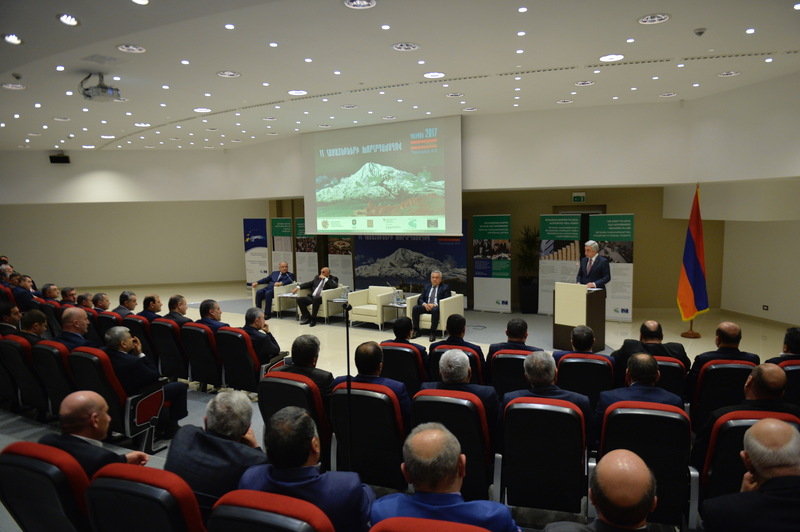 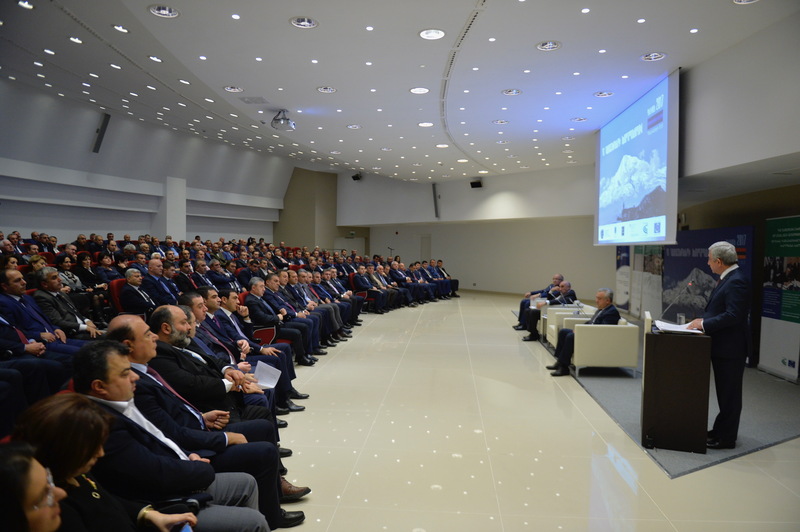 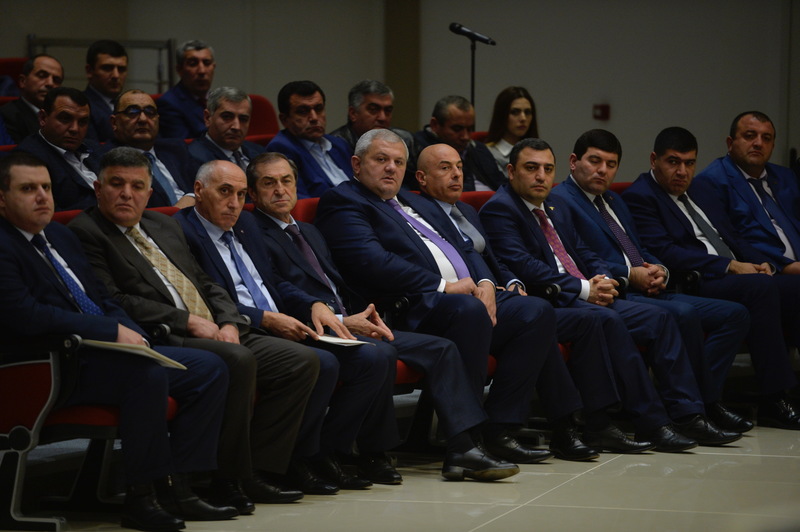 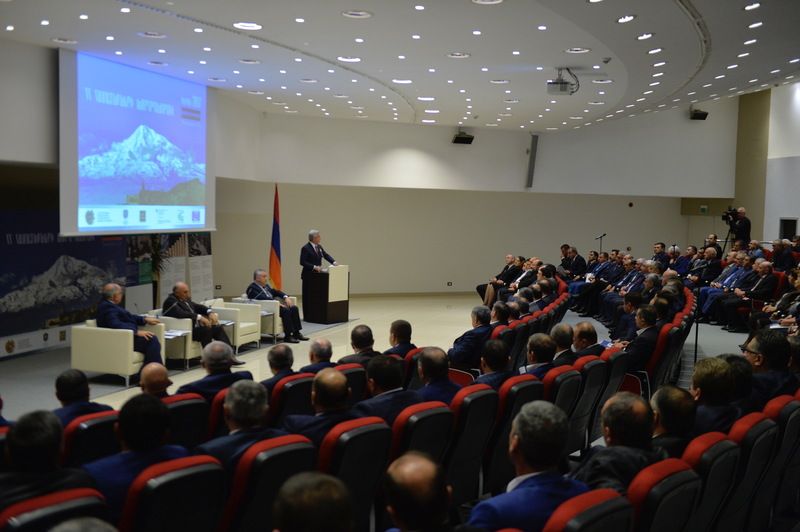 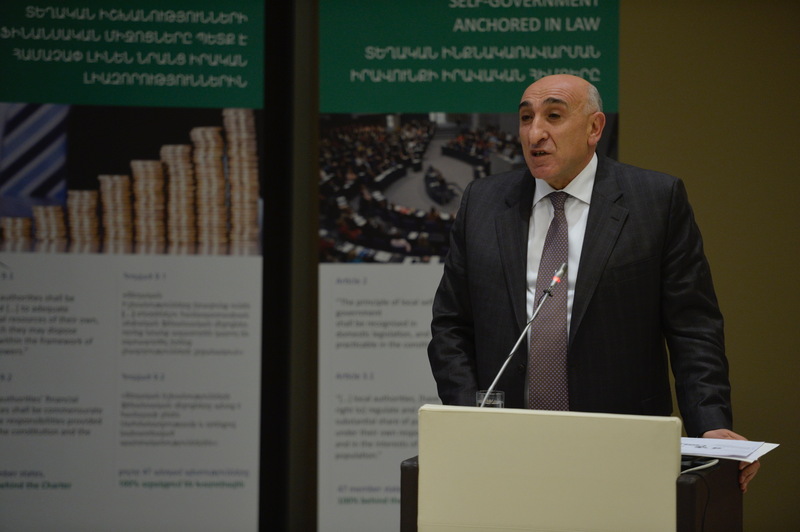 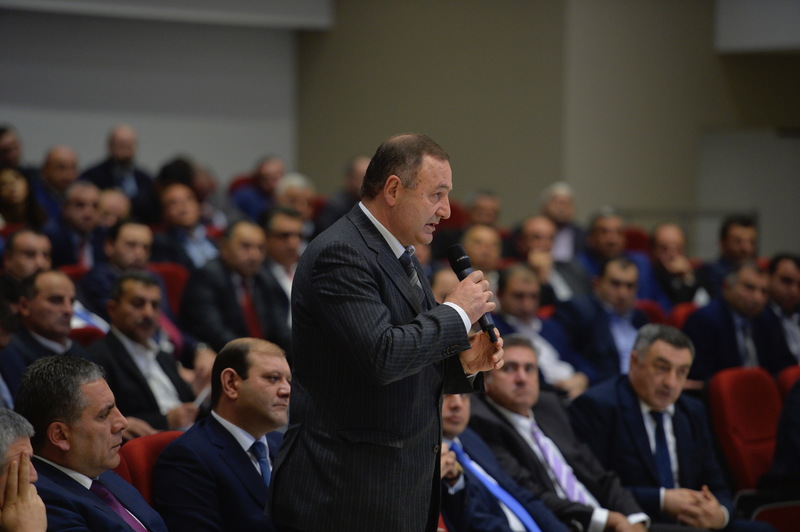 The forum was attended by Marz Governors, community leaders, as well as representatives from the Central Bank, Armenia Territorial Development Fund, Mayors for Economic Development, Energy Efficiency and other programs. 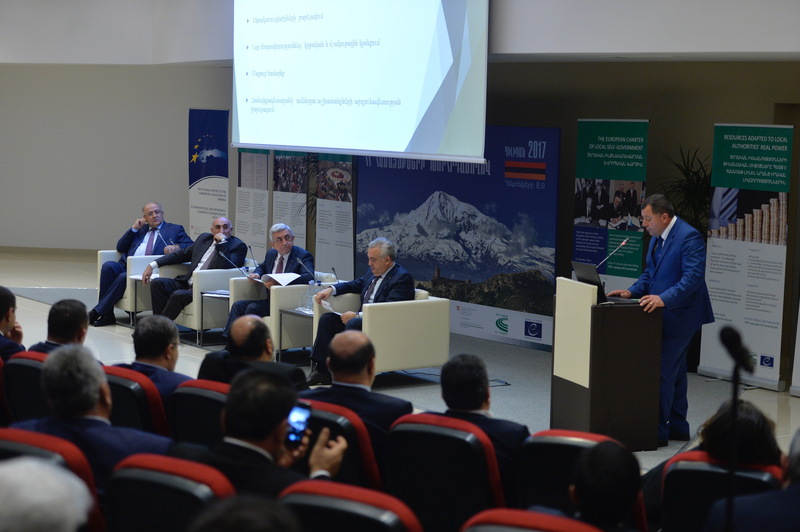 The forum discussed local self-government and territorial administration-related issues with a focus on the programs aimed at ensuring economic development in Marzes and communities, the ongoing administrative-territorial reform and the process of community enlargement. 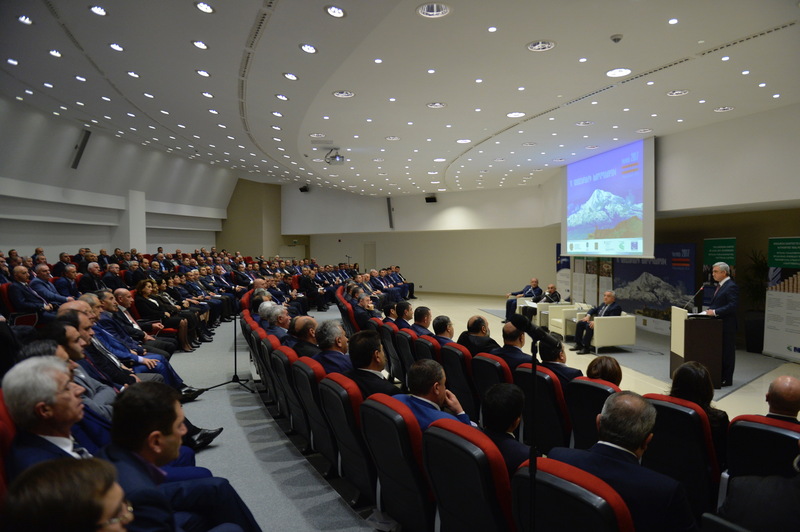 The Central Bank representatives presented alternative opportunities for community development, financial involvement and funding. 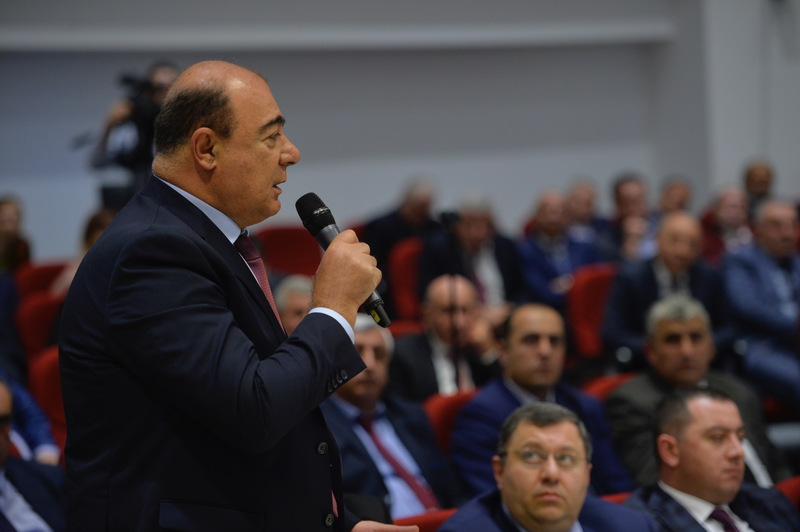 Summing up the results of the forum, Minister of Territorial Administration and Development David Lokyan talked about the problems faced in this field. 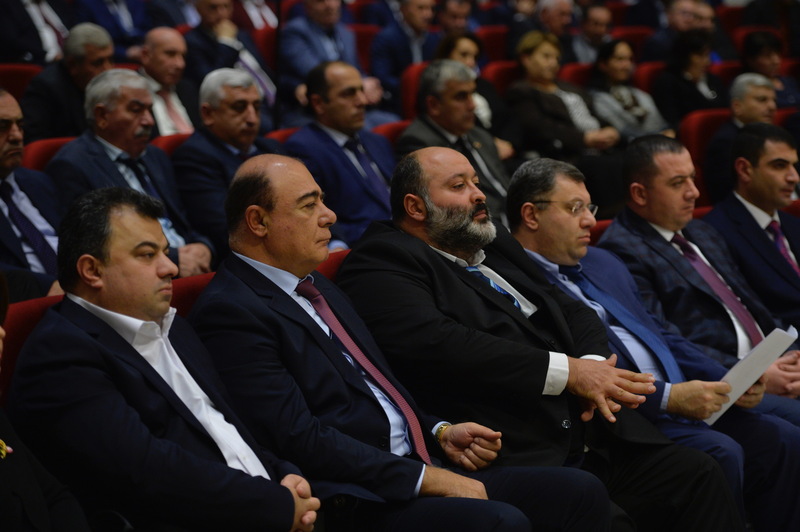 A number of enlarged community leaders presented this year’s achievements, the problems faced and the proposed solutions. 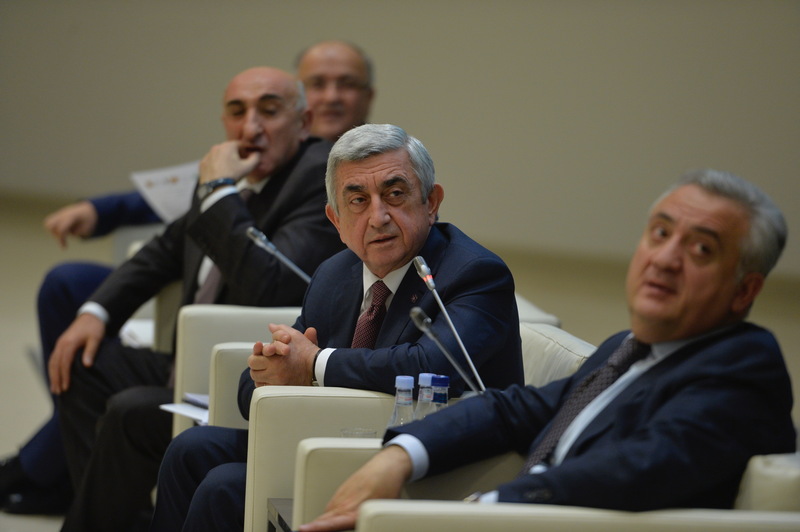 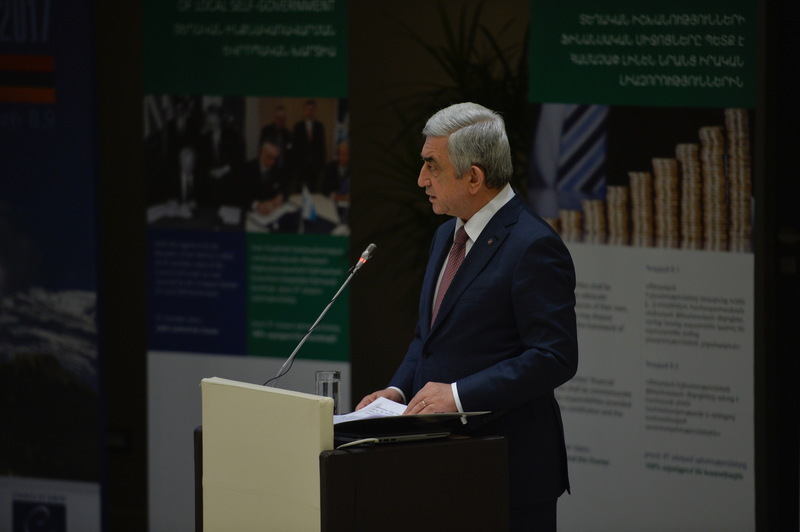 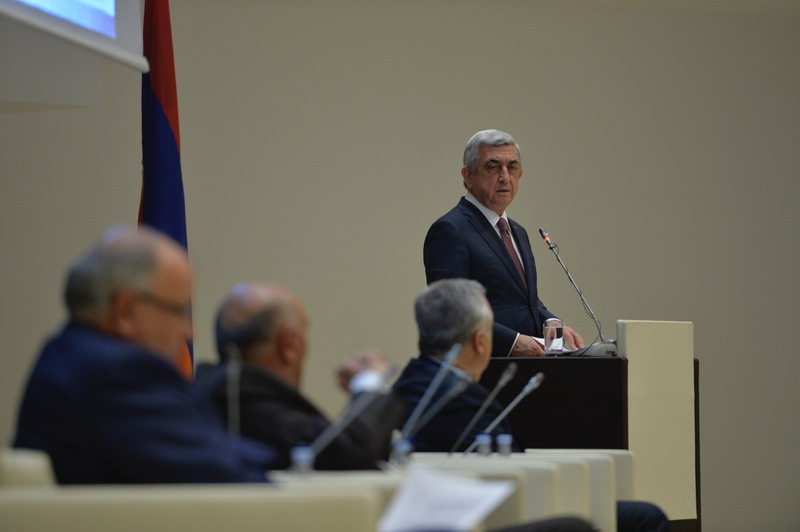 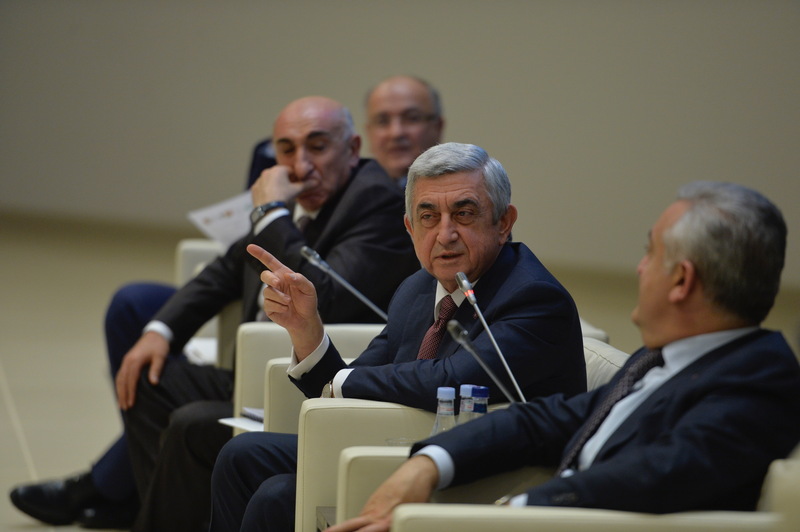 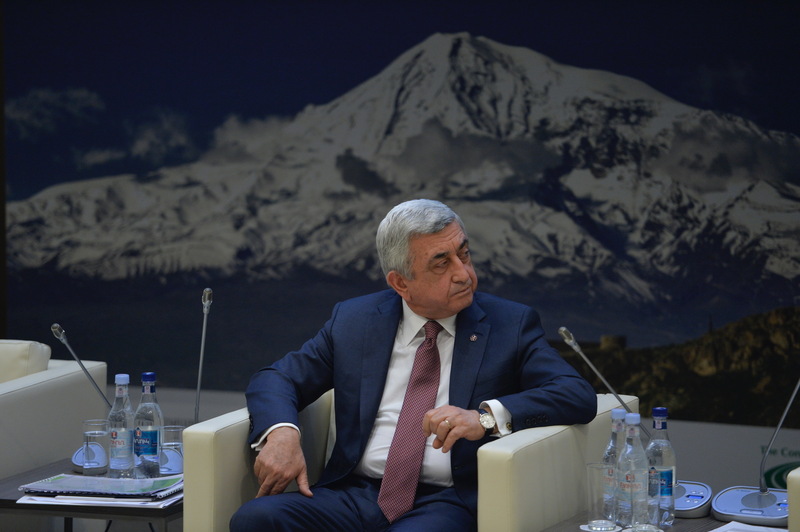 In conclusion, President Serzh Sargsyan delivered a speech and answered the participants’ questions.